Diagnostic Ulltrasound - Price varies - Call for details and booking. This is a medical ultrasound for your care provider. To Schedule an Appointment Call 406-224-8380 or BOOK NOW Online! 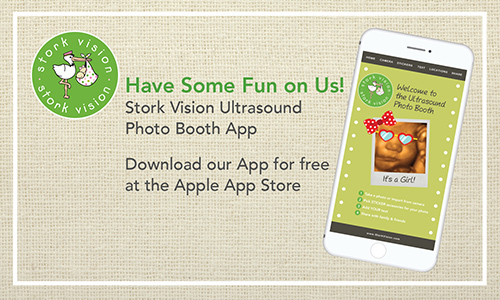 Please know that Stork Vision® requires that all expectant women seeking 2D, 3D, or 4D elective ultrasounds must be receiving prenatal care. Stork Vision® also requires written verification, consent, or authorization from Healthcare Providers prior to performing any ultrasound service. Prenatal Ultrasounds performed by a Stork Vision® ARDMS® Sonographer does not replace the full anatomical diagnostic ultrasound provided by the Prenatal Healthcare Provider. Stork Vision’s® limited diagnostic ultrasounds are limited to noting fetal number, baby’s position, baby’s gender, and the presence of a fetal heartbeat. All Sonograms are performed by appointment only.